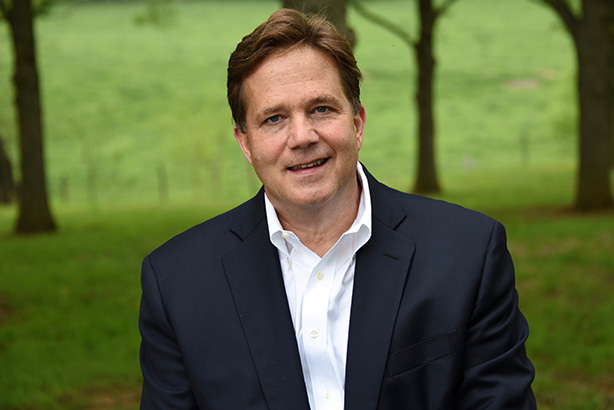 A baptism by fire awaited Robert Mathias when he joined the National Park Foundation as chief of external affairs. The former North America CEO of Ogilvy PR started in his current role in September 2018. Four months later, his organization and the U.S.’ more than 400 national parks became unlikely leading figures in a Washington, DC, drama. Just before the holidays, President Donald Trump rejected a bipartisan spending bill because it didn’t include $5.7 billion in funding for a U.S.-Mexico border wall, forcing the federal government to shut down. The economic impact was steep, especially for the 800,000 federal workers that were either furloughed or working without pay. As part of that debacle, the National Park Service closed, sending its rangers and staff home. Soon after, the public spaces under its supervision were littered and vandalized. Even the Joshua trees of the national park that shares their name were cut down. Within days, the National Park Foundation, the official charity for the National Park Service, was flooded with phone calls from people asking if there was a way for them to help, Mathias says. Then, on January 8, The North Face urged its followers in a tweet to donate to the National Park Foundation. "The national parks are so iconic and so American that they were pushed to the forefront of the story," Mathias explains. "This was really the birth of the restoration fund." The Parks Restoration Fund, launched on January 10, has received $400,000 in pledges and contributions, the proceeds of which will be deployed for "natural habitat restoration, graffiti and trash removal, and other volunteer efforts." Those funds include small dollar donations from hundreds of individuals and large contributions from corporate partners. Outdoor gear company REI made a $250,000 donation, while natural bodycare company Burt’s Bees gave $50,000. The call to action extended beyond money-giving, with the foundation receiving some 2,500 calls from everyday people asking how they could volunteer their time toward the cleanup effort. "That just speaks to people’s love for our parks," Mathias notes. "But we need our partners at the National Park Service to be back on the job and in the park, so we know what needs to be done. And we need them back in the park before we can send legions of volunteers in there." Finally, on January 25, Trump and congressional leaders reached an agreement that would reopen the government and end the longest shutdown in history. After all was said and done, the National Park Foundation was an unexpected benefactor of the government shutdown, and not just financially. Some of its corporate partners made their social channels available for the foundation to use, allowing it to leverage their platforms with its own messaging, Mathias says. "These are very proprietary and very valuable assets they’re making available," he adds. Rocío Lower, senior manager of communications at the National Park Foundation, notes there was an uptick in mentions of the foundation’s @GoParks pages, but the conversation didn’t really take off until The North Face tweeted its support. After the restoration fund was announced, the coordinated efforts of the foundation and its partners created a kind of halo effect with an "energy all of its own," Mathias adds via email. It was exposed to new audiences: influencers, photographers, hikers, and more. The foundation expected to walk away with a greater share of voice than before the shutdown, he says. Mathias notes he doesn’t want to downplay the foundation’s own internal efforts and team, but the organization owes much of its success to its corporate partners. If the shutdown depicts a Washington, DC, crippled by discord, it also gave the private sector a chance to show its more compassionate side. Mathias says via email the foundation, as a "neutral space," gave it a "unique platform in the whole shutdown conversation." The foundation stayed clear of "name-calling and blame-gaming" and came out with a concise message that resonated with individuals and corporations: "The parks need us now. Help if you can." Outdoors enthusiasts posted their own memories of the parks and invited their networks to support the foundation by donating to the fund or signing up to volunteer, Lower adds. Some changed their Instagram bio links and created stories. Ultimately, this gave the foundation the opportunity to "showcase" its role supporting the parks, she says. "We wanted to impart they weren’t helpless — you can actually do something." None of the foundation’s efforts included buying expensive ads. The organization relied on its internal resources, its corporate partners, and an earned media approach. When some of the foundation’s partners opened up their channels and insights to the foundation, it provided them a bird’s-eye view of how each community reacted to content based on the channel, Lower notes. It also showed how each channel fed into each other and funneled the public to the foundation. "Parks are such a visual medium, and they lend themselves to being worthy of stopping from scrolling on a good day," she explains. Aware that the National Park Foundation has been given a rare challenge and opportunity, Mathias says he wants to parlay this newfound prominence into long-term interest — to keep people’s attention on the parks. "We exist for national parks," he notes. "This is a moment in time that will pass. We want to keep reminding the public our parks need us 365 days a year." 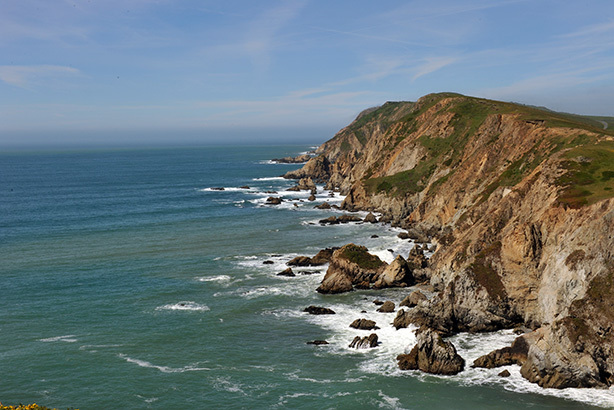 Point Reyes National Seashore in California is one of the national parks that was closed due to the government shutdown earlier this year. On the surface, the foundation seems like a sleepy organization, but at its core is a robust fundraising machine that has seen a massive surge of financial support. Between 2012 and 2017, the organization more than doubled its total assets, from $98 million to $220 million, according to its annual financial disclosures. Pledges and support receivable totaled $57.8 million in 2017, compared to pledges of $3.8 million in 2012. Cash and cash equivalents were at $37.4 million in 2017, more than three times the $10.3 million it had in 2012. Mathias says he feels like he "jumped on a rocket that’s three-quarters of the way toward orbit." Will Shafroth, president and CEO of the foundation, attributes its growth to greater alignment between the foundation and the organization it serves, the National Park Service. Prior to 2012, the two bodies weren’t operating "in lockstep," Shafroth explains. "Saying that is one thing, but the hard work of doing that is aligning our missions," he adds. "It may seem obvious, but it wasn’t really happening." But when the National Park Service’s 100th anniversary approached, the effort to align the two organizations accelerated as the foundation prepared to launch its centennial campaign in 2016, with the goal to raise $50 million per year. "For an organization that never raised more $25 million, it was a big lift," Shafroth says. "And we were going to double it every year for five years in a row." Shafroth explains the campaign was built on a broad strategy on multiple channels: corporations, foundations, individuals, and families. The foundation had a relatively small donor base in its direct mail and direct marketing lists. That database is now more than 1 million people. The sharp uptick in corporate support — increasing from $2 million to $4 million per year to around $30 million last year — "is a testament to the alignment of the [foundation] brand around the national parks," Shafroth says. After a couple of years, it eclipsed the campaign’s goal of raising $350 million. In total, it’s raised more than $500 million. "The parks have the kind of scale that can absorb that money," he notes. "Certain universities and hospitals do, but there aren’t many institutions that have the capacity to absorb that kind of capital and intelligently invest." As the National Park Foundation grew, it took on more external comms activities to accomplish its mission, making it necessary to merge government affairs with the marketing and communications function, according to Shafroth. "Given our close legal relationship with the National Park Service, it became critical to have it all connected," he explains. "I needed someone who brought in experience and gravitas in those spaces and could [lead] the whole thing." After serving at the Department of Energy for a few years, Mathias cut his teeth at Ogilvy. He would spend more than 20 years at the WPP firm, leading Ogilvy PR in North America, as well as its Washington, DC, and San Francisco offices. That breadth of experience, combined with Mathias’ time serving on the board of Yellowstone Forever, was highly valuable to Shafroth, he says. 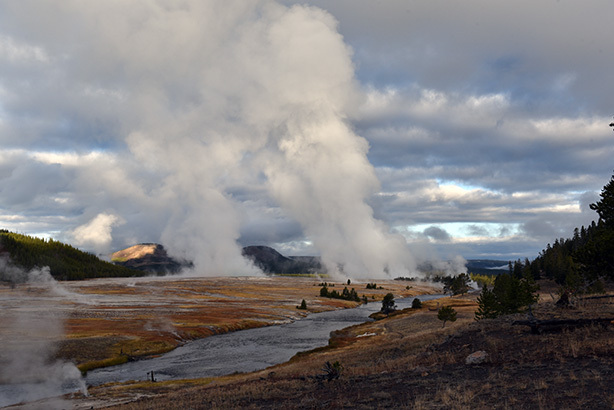 Yellowstone is one of the most popular parks and has the distinction of being the very first national park. As for Mathias, he notes leading the National Park Foundation’s 16-person comms, marketing, and government relations function has its perks. For one, he can focus on a single "client" rather than having to juggle multiple ones a day. "I’m not a financial guy," Mathias explains. "One of the happiest things I’ve left behind is I no longer have to spend the day staring at spreadsheets." In an interesting parallel, Ogilvy narrowed Mathias’ brief in 2016 so he could concentrate on the DC office. At the time, global PR leader Stuart Smith, who has also left the firm, said the office was "navigating a changing client portfolio across government and the public sector." At the foundation, Mathias has a unique vantage point to survey the industry, and for him, the future of integrated marcomms has arrived. One of its main agencies is WPP ad giant Grey Group, which runs a sizable chunk of its earned work. "When you think of Grey, you think of a big advertising company," Mathias notes. "But we do very little paid with them. We do a lot of earned, activations, experiential, and digital." Whatever paid work the WPP ad firm does for the foundation is almost entirely social, he adds. The National Park Foundation works with Grey and Burrell, who support its annual campaign, Find Your Park, an earned, paid, digital, and social campaign. Teeth supports the foundation’s digital comms. "The client wants the ability to communicate with our customer," Mathias explains. "We don’t want to be told, ‘Oh, I can’t have that conversation, let me get my colleague from PR, or let me get my colleague from digital.’ If you’re unable to articulate and move all those pieces at once, you’ll be left behind." Robert Mathias’ love affair with national parks started in childhood. His mother, a naturalist, was "keenly aware of the environment around her," he says. "She was the one to point out the subtle beauty of a wooded path, the unique cadence of a particular bird’s song, or the exuberant joy of a garden in springtime," he adds. His father was an environmentalist. Over the course of his career, he worked on protecting Maryland’s Chesapeake Bay, designating the Chesapeake and Ohio Canal as a national park, and preserving open farmland. That same youthful love for the outdoors carried over into parenthood. Mathias and his wife, Sarah, spent "endless hours" with their daughters in a tide pool watching hermit crabs, he says. The family hiked the trails of seaside cliffs and spent afternoons watching the sun move across the sky. "Nothing brings me greater joy today than seeing an Instagram post of our daughters, now young adults, exploring a new national park together," Mathias adds. "But sometimes you feel the need to do more than consume. Sometimes you feel compelled to answer the call to give back. "Through my work, I feel I am able to return a tiny portion of this tremendous gift," he continues. "I am glad to be here."